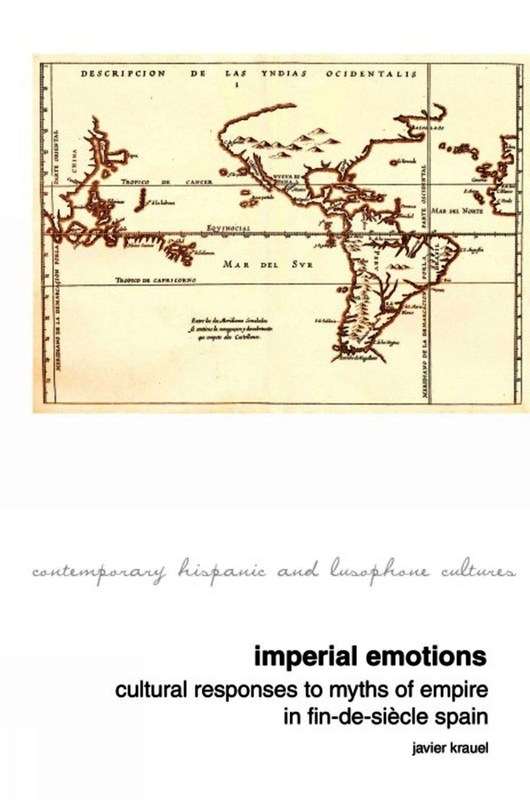 Imperial Emotions: Cultural Responses to Myths of Empire in Fin-de-Siècle Spain reconsiders debates about historical memory from the perspective of the theory of emotions. Its main claim is that the demise of the Spanish empire in 1898 spurred a number of contradictory emotional responses, ranging from mourning and melancholia to indignation, pride, and shame. It shows how intellectuals sought to reimagine a post-Empire Spain by drawing on myth and employing a predominantly emotional register, a contention that departs from current scholarly depictions of the fin-de-siècle crisis in Spain that largely leave the role of both emotions and imperial myths in that crisis unexplored. By focusing on the neglected emotional dimension of memory practices, Imperial Emotions opens up new ways of interpreting some of the most canonical essays in twentieth-century Iberian literature: Miguel de Unamuno’s En torno al casticismo, Ángel Ganivet’s Idearium español, Ramiro de Maeztu’s Hacia otra España, and Enric Prat de la Riba’s La nacionalitat catalana. It also examines the profound implications the emotional attachment to imperial myths has had for the collective memory of the conquest and colonization of the Americas, a collective memory that today has acquired a transnational character due to the conflicting emotional investments in the Spanish empire that are performed throughout the Americas and Spain. An Open Access edition of this work is available on the OAPEN Library. Javier Krauel is Assistant Professor of Spanish at University of Colorado Boulder.